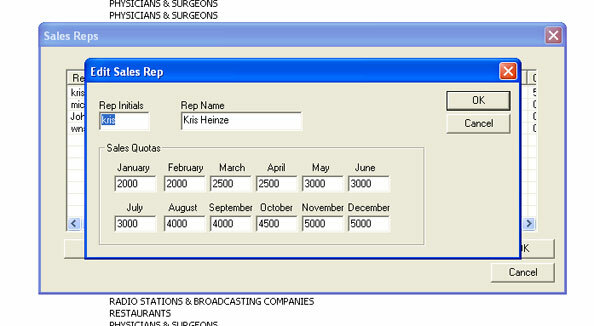 SalesReady helps you recharge your reps with up-to-date business data organized into one central database and accessible from any computer in the building. 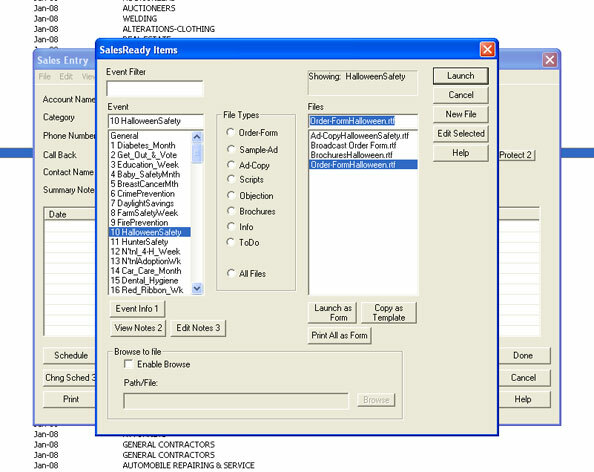 SalesReady can also help you more easily manage everything else from your reps to your events to your communications with your clients. 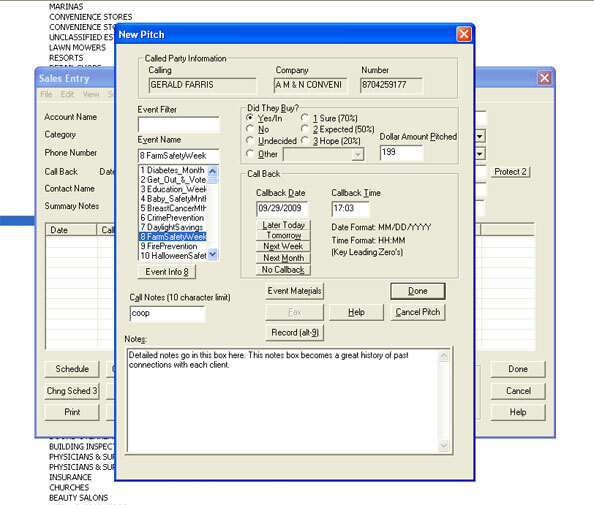 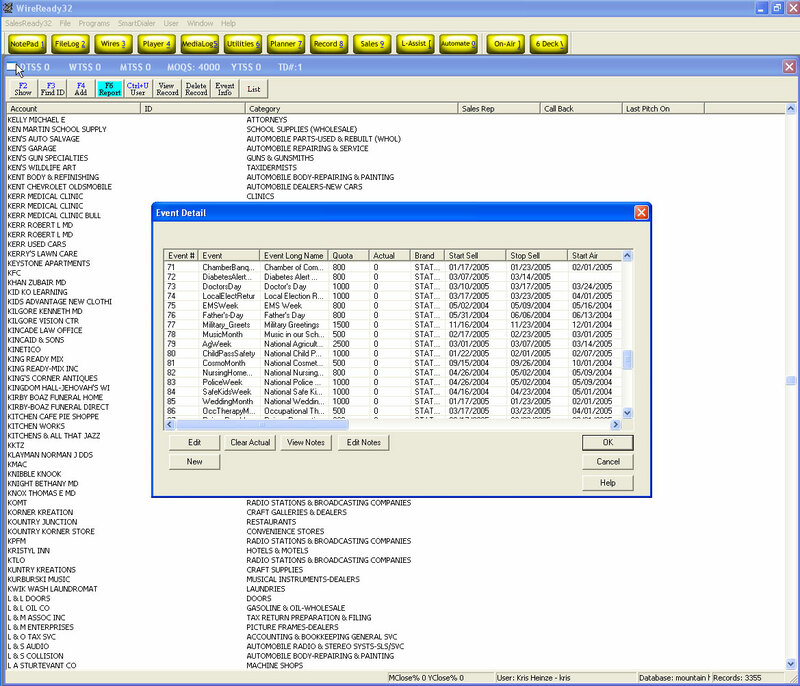 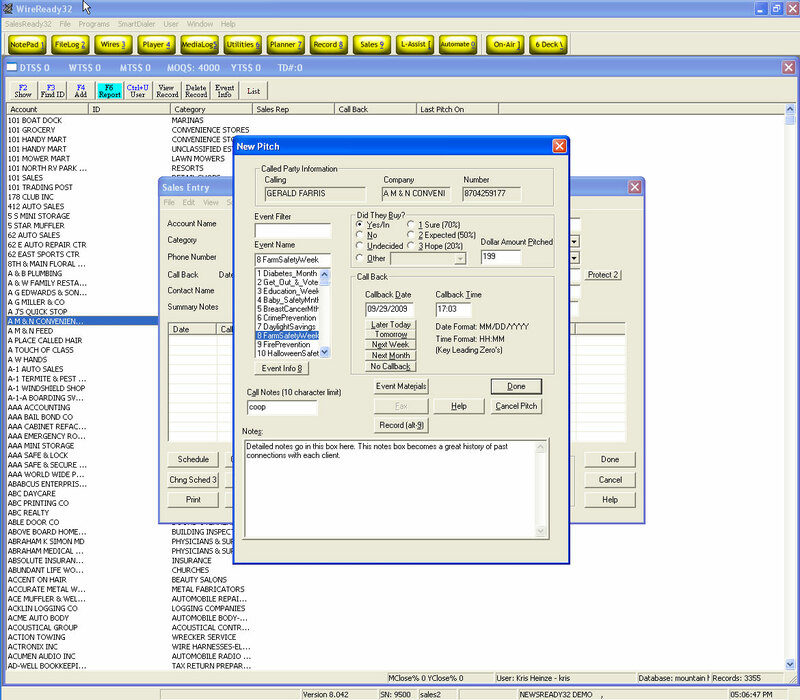 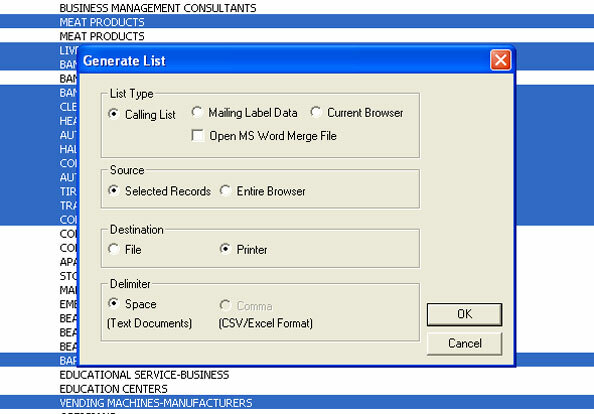 Draw calling lists and go after specific lists of clients for various reasons quickly and easily. 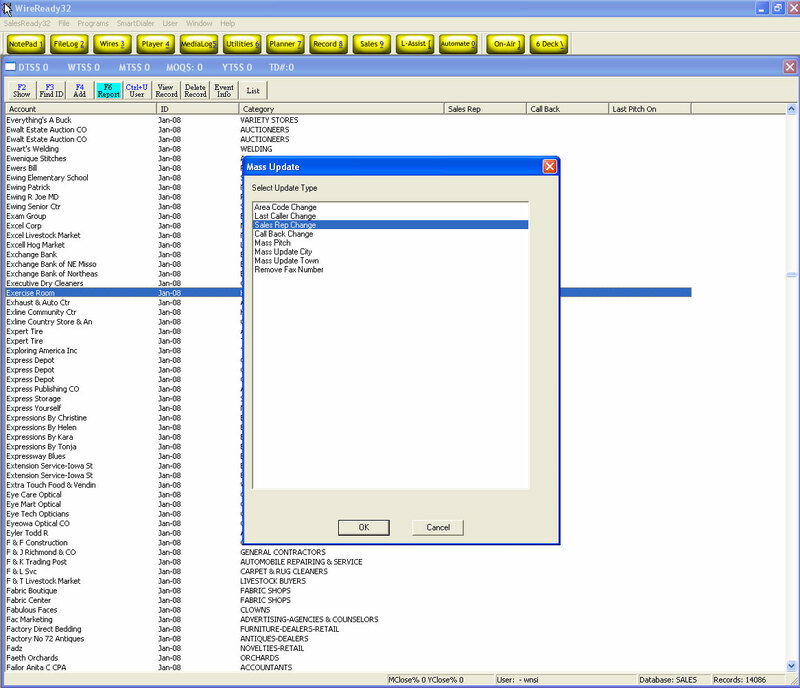 SalesReady has preset all the most important types of calling lists that reps use to go after both old and new business. 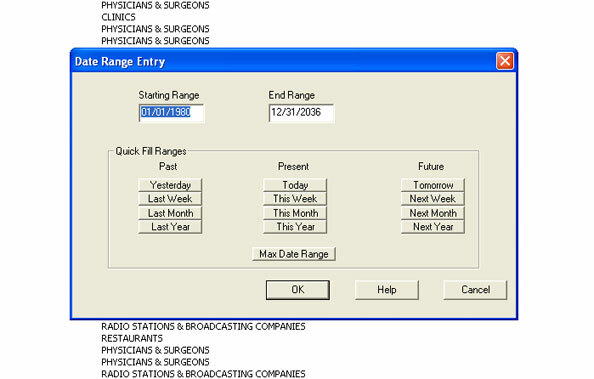 Drill down leads by date of last contact or sale with simple preset date range buttons. 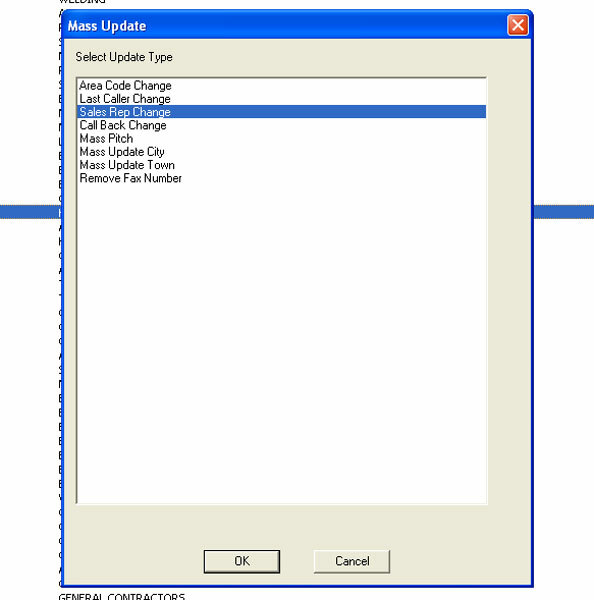 When it comes time to make changes to the database, mass update options make it quick and easy to keep your data current. 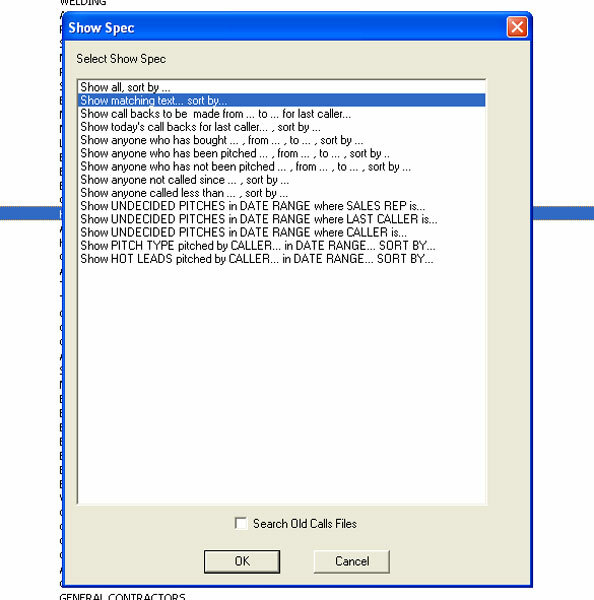 SalesReady makes it as easy to log the reason for every call or visit, what was pitched, the amount and the result or expectation. 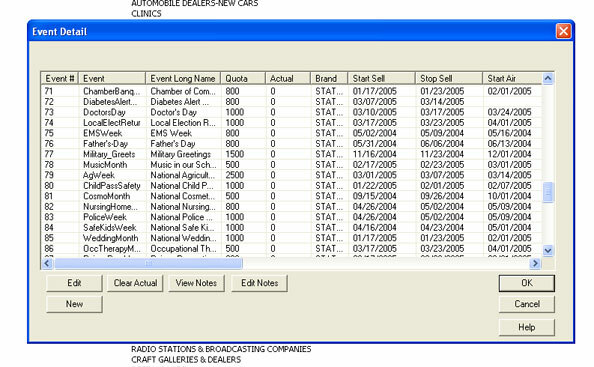 Organize every station event you want to sell so you can track results on a per event or per rep basis. 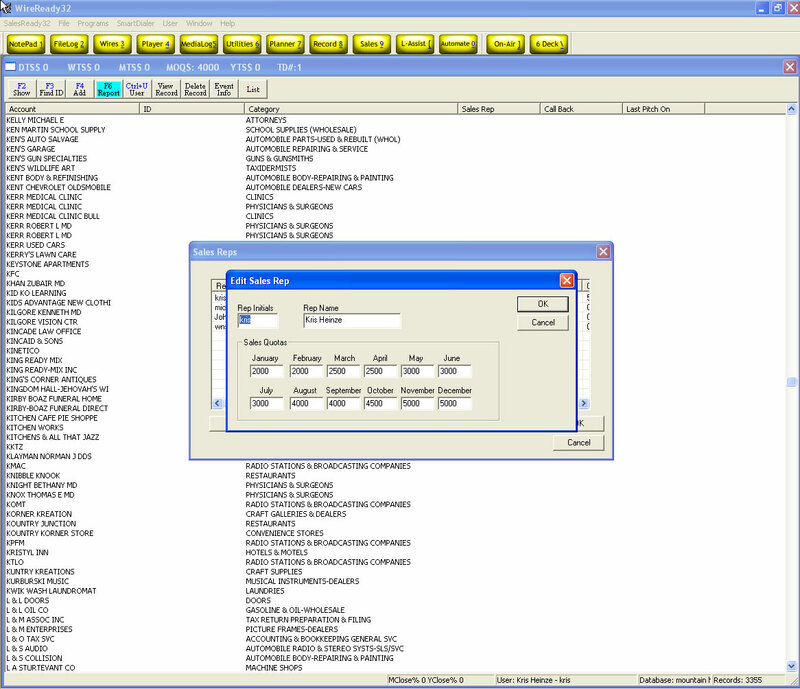 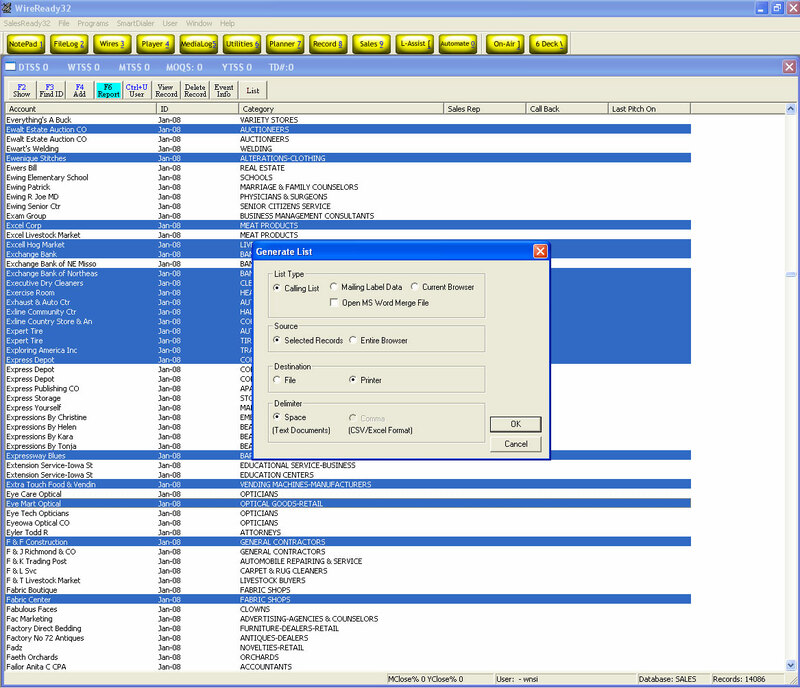 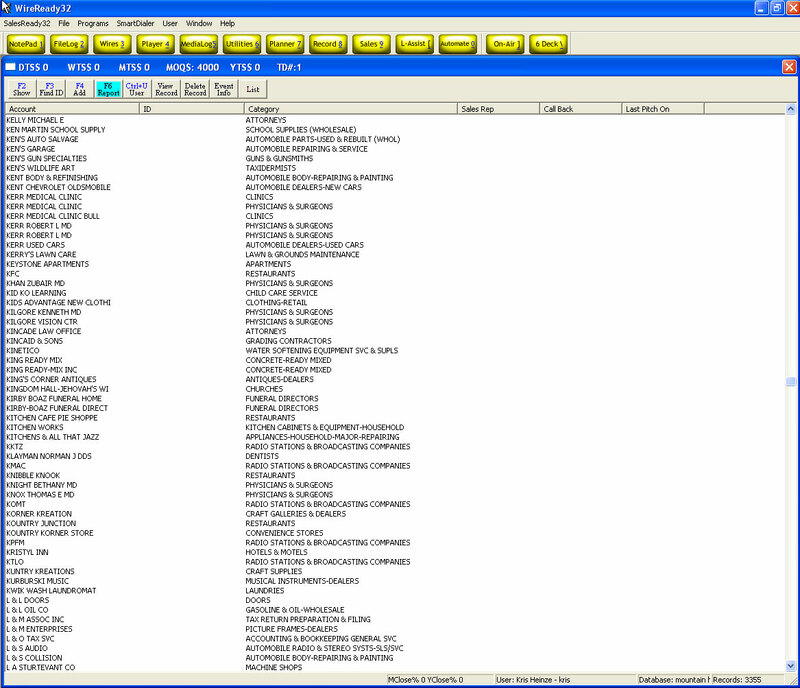 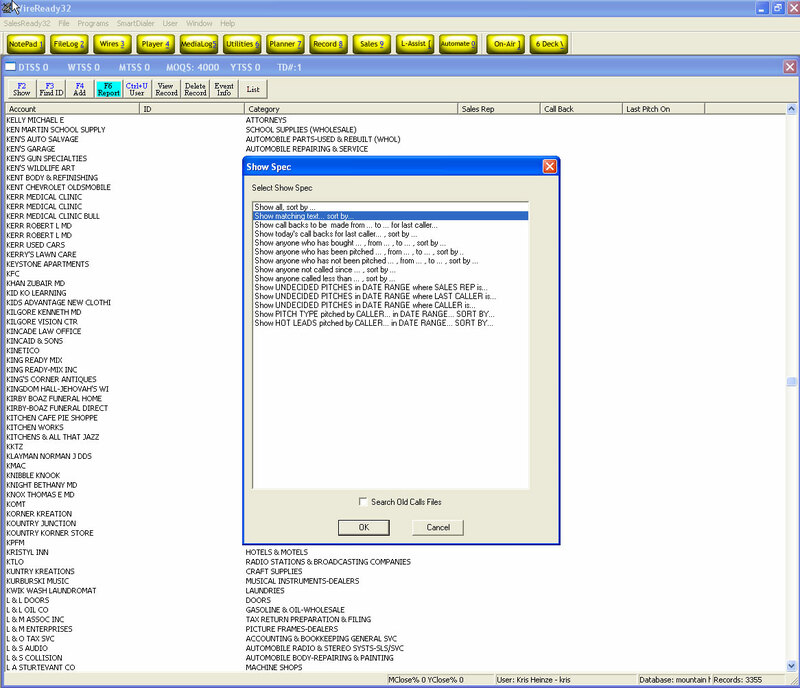 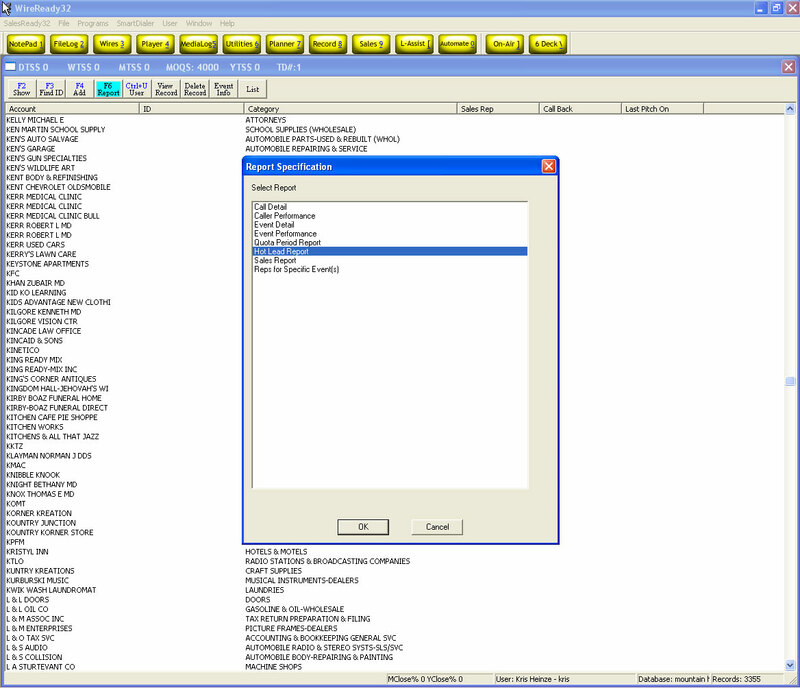 SalesReady makes it easy to organize all your scripts, order forms, brochures, ad copy and sample audio for each event. 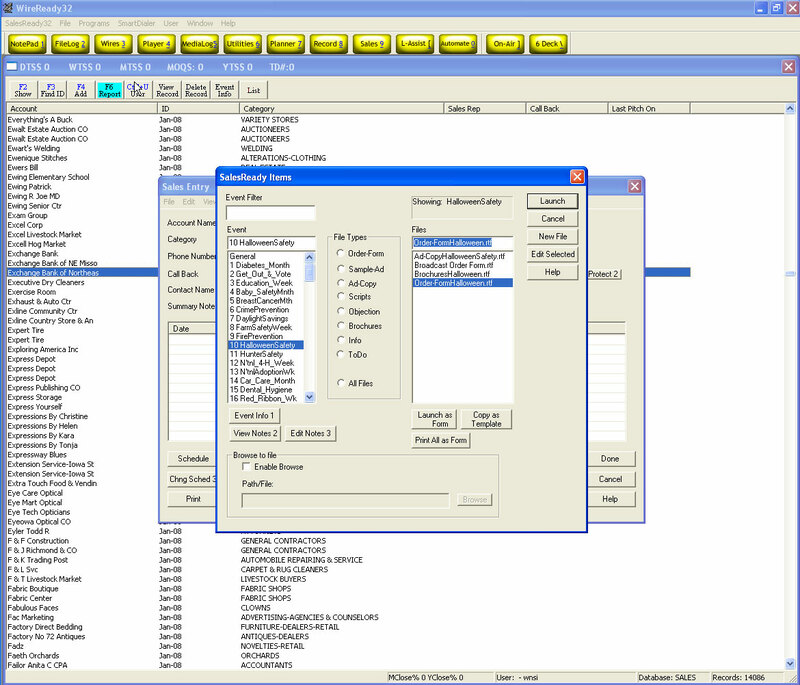 SalesReady tracks and lets you manage quotas on a per sales rep basis. 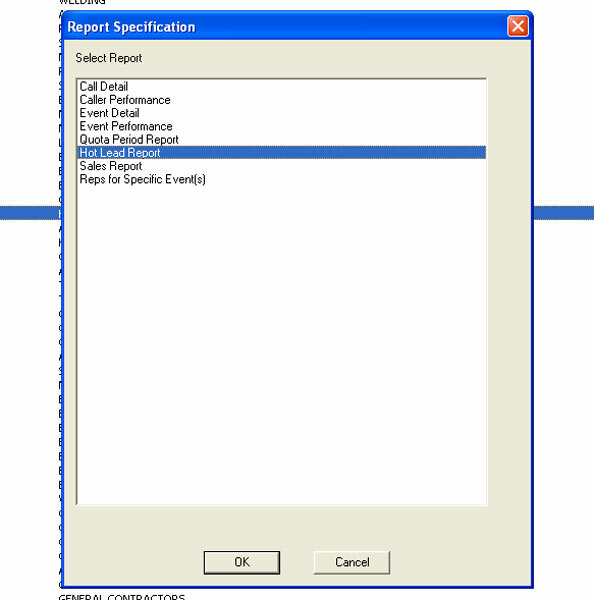 SalesReady is loaded with performance reports for both reps and events. Send your reps to the streets armed with a list of clients to visit and all the contact information required.